Suits, formal shirts, ties, cufflinks, shoes, and accessories for razor-sharp men who dress the part in sartorial excellence. 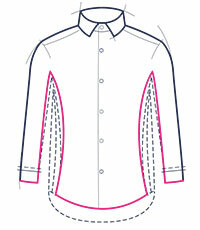 Our Classic fit shirts are the traditional Jermyn Street fit, roomy through the shoulders and chest for utmost comfort. 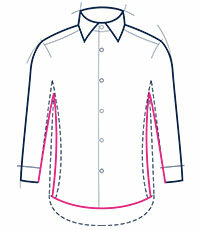 Our Slim Fit shirts taper gently through the waist, this is our most popular, go-to, ‘regular’ fit. Our Extra Slim shirts are slimmer across the chest, arms and waist for a fitted, contemporary silhouette. Our new Super Slim shirts are our sleekest and sharpest fit to date, with a slim, modern silhouette.